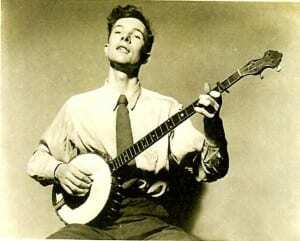 Seeger, who passed away in 2014 at the age of 94, was an iconic presence in the 20th century American music landscape. During his 70-year career, Seeger was admired by many and criticized by others for his activism on issues of labor, war, civil rights, and the environment. The singer roamed America, singing on street corners and in saloons, migrant labor camps, hobo jungles, union halls, schools, churches and concert auditoriums. 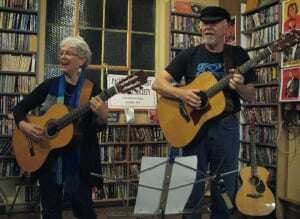 Pacific Northwest musical duo Hank and Claire have put together a program that illustrates through story and song the connections between Seeger’s personal story and the social justice issues that inspired his music. In addition to stories about his life, each phase of Seeger’s activism will be highlighted with songs he wrote and/or popularized. Listeners will gain a deeper understanding of the meaning behind such classics as “Where Have all the Flowers Gone?” and “Turn, Turn, Turn.” Start warming up your vocal cords, because singing along is, of course, encouraged.